The car accident that you were recently involved in may not have been the most pleasant days you have had; but, if you are left with the car after your insurance claim, added cash for the car does help make the situation more bearable. Your local car wrecker in Adelaide is one of the easiest ways to get extra cash for your car, over and above the insurance claim. 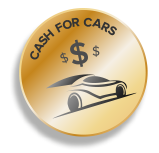 Let Cash 4 Cars Adelaide tell you why we pay top cash for accident condition cars and trucks. Unless the car or truck was demolished in a collision, there are likely parts and components of the car intact and in good working condition. When cars are involved in a collision, the engine may be unaffected, or it may be demolished. It’s pretty much the same scenario with the body as well. However, there are likely parts left of the car that can be dismantled and resold, or at the least, the car still has its metals, which are now scrapped metals that can be recycled. Cash 4 Cars Adelaide recycles scrap metals of cars & trucks, but only after we pull any working parts that can be reconditioned, tested and certified by our mechanics as quality working parts for resale. Our process of dismantling & recycling accident condition cars and trucks puts top cash payments into the owners’ hands. Selling your accident condition car or truck to us is quite simple. We will make you an upfront quote for the parts and metals of the vehicle. Quotes can be obtained by contacting our appraiser over the phone or online. Car owners that decide to sell their cars to us then have the luxury of scheduling a removal at a time that fits their schedule. With us, you have all the trimmings with no costs! We only request that you obtain a quote that you feel is fair so that you can accept the quote and schedule a removal. Get your car sold with us by calling us at the number below or filling out our online quote form located on our homepage. We Pay Top Cash for Scrap Cars & Trucks in Adelaide. Get a quote by calling us at 0477 413 136. Can you Repair Flood Damaged Cars?